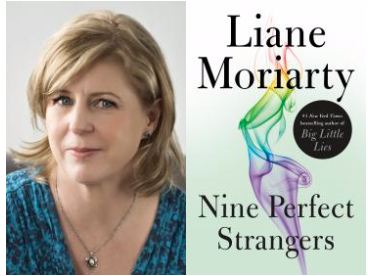 Just one author this Thanksgiving week at Third Place Books - Liane Moriarty. Otherwise, the store is closed on Thanksgiving, open for regular business on Black Friday, and celebrating Small Business Saturday. Third Place Books, Town Center, intersection of Bothell and Ballinger Way, Lake Forest Park. Nine people gather at a remote health resort. Some are here to lose weight, some are here to get a reboot on life, some are here for reasons they can't even admit to themselves. Third Place Books is closed for Thanksgiving! We’ll be back on Friday, with regular hours! You don’t have to wake up at the crack of dawn on Black Friday, but we’re open regular hours, have free gift wrapping, and would love to see you. Spend $50 or more (pre-tax) and receive a $10 Gift Card! Support your local independent businesses and get your holiday shopping started on Small Business Saturday. Spend $50 or more (pre-tax) and receive a $10 Gift Card!